It’s been 10 years since the start of The Great Recession when millions of people lost their jobs due to the subprime mortgage crisis. As per Google, the search terms such as “Jobs near me” and “Jobs hiring near me” has become trending in past two years which shows that most of the companies come out of recession stronger than ever. Most of the companies are reducing costs selectively by focusing more on operational efficiency and freelance hiring to survive today and investing to grow tomorrow. As the job market has recovered, so has the skill sets that are required to be competitive. With the exponential growth in technology, in fields such as telecommunications (telecom), the original concept of freelancing has taken on a new and exciting form. According to a 2016 study by the Freelancers Union, 34 percent of American workers are freelancing with that number anticipated to mushroom to 50 percent by 2020. FieldEngineer plays an integral role in the telecommunications sector as they maintain a global platform to support an on-demand independent workforce. FieldEngineer has a streamlined process to connect business and talent with an advanced digital platform. In a market booming with growth, they are focused on eliminating the hurdles by opening up a path to opportunity. 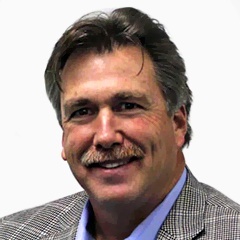 FieldEngineer enables clients to interconnect resources across a broad range of technical competencies to meet the ever-changing digital demand. Businesses have the options to choose premium services to track the progress of interrelated projects across the globe on a unified digital framework that’s compatible across all operating systems. FieldEngineer is a powerful platform for businesses and freelancers who are eager to embrace a more modern form of recruitment. And now, a unique mobile app for FieldEngineer android app is available for download on Google Play Store for the purpose of monitoring up-to-date information and staying connected in real time. Cisco engineers are administrators who specialize in networks that are built with Cisco products. 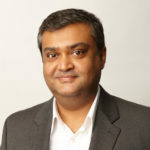 They ensure the seamless connectivity of networks within an organization for optimum productivity. You can find more information about available positions here at Freelance Cisco Engineers Jobs. A network support technician troubleshoots hardware and software products to increase productivity and minimize downtime. You can find the network technician job responsibilities and current openings at Freelance Network Support Technician Jobs. Fiber optics technicians install, maintain, and repair fiber optic materials for homes and businesses. For information regarding fiber optic certification and current job openings, look for Freelance Fiber Optics Technician Jobs. VOIP engineers are responsible for outlining, deploying, managing, and maintaining an organization’s in-house IP telephony design communication. You can find certification and salary details at Freelance VOIP Engineer Jobs. Systems engineers are seen as the backbone of the IT and telecom industries. These professionals manage and monitor the performance of infrastructure set up for virtually any industry. They assess every stage of operations and are the primary interface between customers, specialist engineers, suppliers, and system management tools. By using FieldEngineer’s comprehensive platform, you can find more information about system engineering Freelance System Engineer Jobs. Network controllers serve in an extremely important scalable server role in providing API which helps to communicate with the existing and outside networks in both domain and non-domain environments. The job requirements for this position can be found at Freelance Network Controller Jobs. A NOC engineer is a highly specialized technician in computer network management. They monitor large networks and servers for issues disrupting the network at a centralized location or from a designated satellite. For more information on qualifications required for this position, please refer to Freelance Network Operation Center (NOC) Engineer Jobs. The VMware architect is premier position in virtualization architecture. The responsibilities for this highly competitive career include designing, planning, and analyzing infrastructure technologies and resources. For more information regarding the certification required for this position, check out Freelance VMware Architect Jobs. As technology expands, the role of field engineers is integral to the telecommunication industry. Some field engineers perform their duties on site while many others only work on a freelance basis. Because freelance field engineers play a key role in technology services, this position will continue to be essential in a rapidly changing industry. 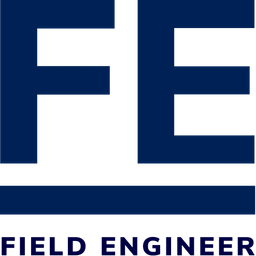 You can find more information on field engineer positions at Freelance Field Engineer Jobs. A data center technician is a specialized area of the telecom and IT industry where the technician provides support to the data center of an organization. You can find more information about data center technicians at Freelance Data Center Technician Jobs. Desktop support technicians are the point of contact for an organization providing maintenance and support for the desktop computing environment. They are an integral part of any business that uses computer technology. The requirements for this position can be found at Freelance Desktop Support Technician Jobs. An information technology specialist is required in almost every industry. They are responsible for monitoring, implementing, and maintaining the IT systems of an organization. A more specific job description can be found at Freelance IT Specialist Jobs. A PC technician has a vast range of responsibilities, some of which include: computer repair, maintenance, and installation for a variety of industries. The job outlook for this position can be found at part-time Freelance PC Technician Jobs. A computer network architect designs and builds a host of various intranet networks. FieldEngineer provides the best platform for finding network architect freelancing positions at Freelance Network Architect Jobs. A network security engineer follows the strict security protocols necessary for solving security issues such as viruses and cyber threats. While focusing on infections from the global networks, they install security detection deterrents for better defense. You can find salary and certification details at part-time Freelance Network Security Engineer Jobs. Infrastructure engineers are responsible for designing, implementing, and maintaining the IT structure of an organization. Their core responsibilities can be seen here at Freelance Infrastructure Engineer Jobs. A field technician provides the on-site support for maintenance, installation, and security systems of any organization. For more information on freelance field technician opportunities check out Freelance Field Technician Jobs. With the growth of systems within the telecom sector such as SD-WAN, data center network, CPE, and demarc, there is an immediate need for expert telecom engineers. To find out more about the roles and responsibilities, you can go to Freelance Telecom Engineer Jobs. NOC technicians monitor and troubleshoot the intricate details of network systems. You can find more details about NOC technicians on Freelance NOC Technician Jobs. Cyber Security engineers protect network systems against cyber threats. Their expertise will safeguard computer networks, hardware, software, and data from malware threats. The recent increase in technology security issues has made cybersecurity engineering a career field that is in high demand. For more details about cybersecurity engineers, check out part-time Freelance Cyber Security Engineer Jobs. A Network Analyst provides basic support to various departments within IT and Telecom. They are also known as system administrators and perform maintenance and troubleshooting for system networks. These positions can be viewed here at Freelance Network Analyst Jobs. Technical support engineers resolve hardware and software issues for various organizations. They are also known as IT support specialists. You can find more information about technical support engineers here at Freelance Technical Support Engineer Jobs. In the digital age, computer network technicians have a critical role in the IT industry. They install computer networks and troubleshoot system failures while providing upgrades periodically. Detailed responsibilities can be seen here at Freelance Computer Network Technician Jobs. The system administrator is the backbone of the telecommunications field. They are responsible for configuration and set-up of computer systems for optimum productivity. They also maintain multi-user computers and servers. System administrator roles and responsibilities can be seen here at Freelance System Administrator Jobs. A printer technician is involved in maintaining the printer and the connected peripheral devices. They ensure that the printer networks function properly. You can find the qualifications and certifications required in Freelance Printer Technician Jobs. Telecom freelancing is an arena that has rapidly advanced in recent years. Consequently, it’s imperative to fine-tune your skill set for the global marketplace. More companies are turning to networks such as viz. IoT, SDN (Software-defined Network, and IoT (Internet of Things) for creative solutions in internet connectivity. As infrastructure consolidates and systems decentralize, freelancers are at the forefront to meet the technological innovations in the future.